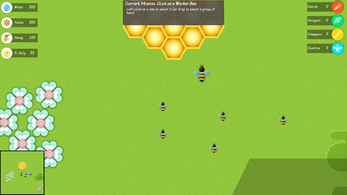 Create and expand your colony of honey bees! 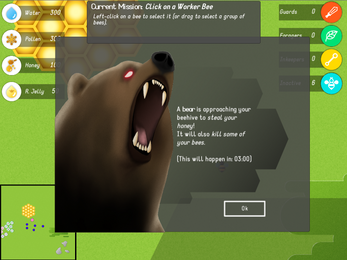 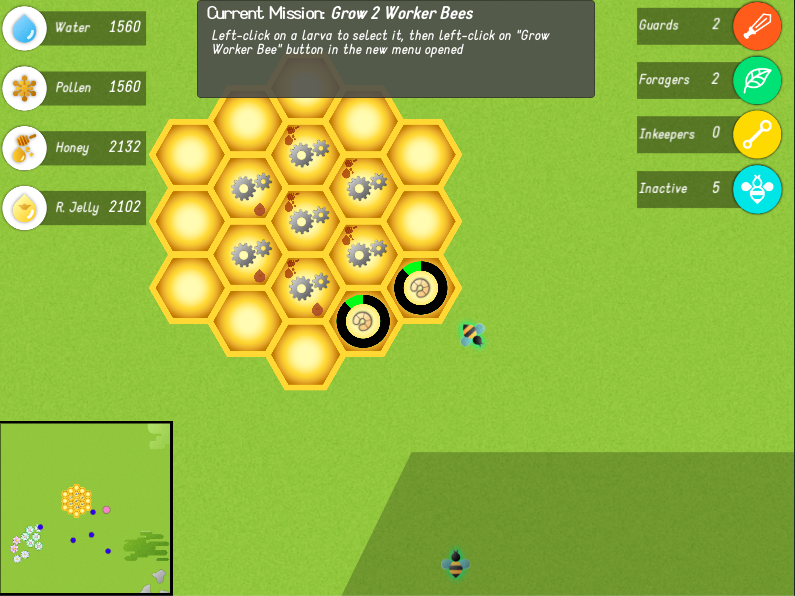 Make new worker bees and specialize them, collect resources from the environment and protect your hive! 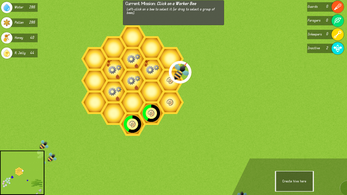 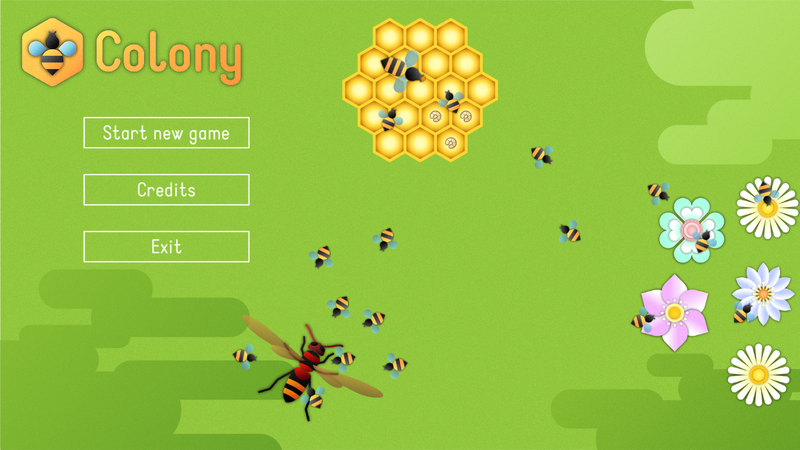 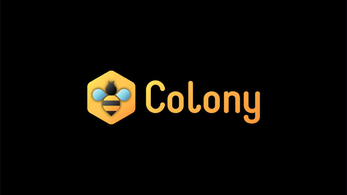 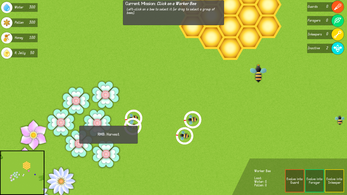 Colony is a real-time strategy game set in a colony of honey bees. 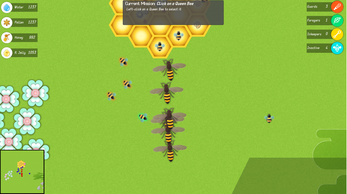 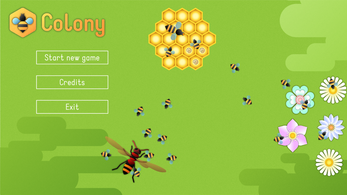 In this game you'll have to create new bees and manage them in order to organize their activities and keep the colony alive. 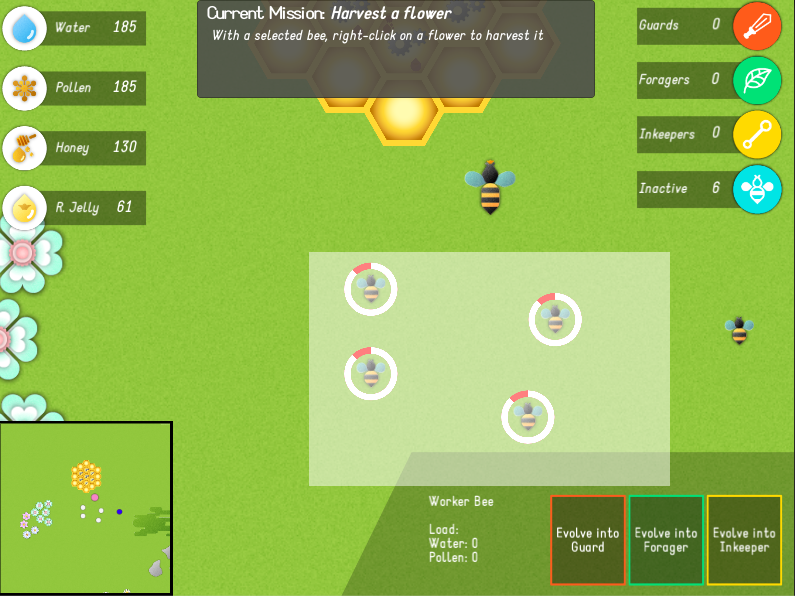 To do so, worker bees can be specialized in different activities such as collecting resources from flowers, refining them, and fighting enemies. 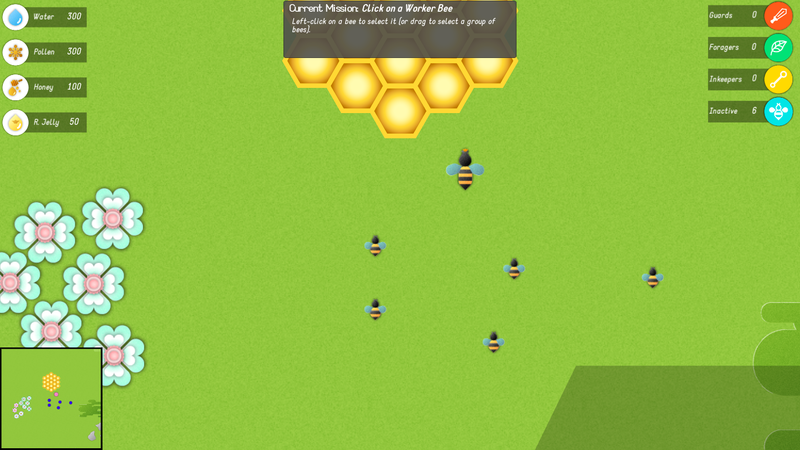 Keep your Queen Bee safe from dangers, and expand your colony: by getting resources you can make new bees and eventually create new hives and expand your Honey-Bees kingdom. 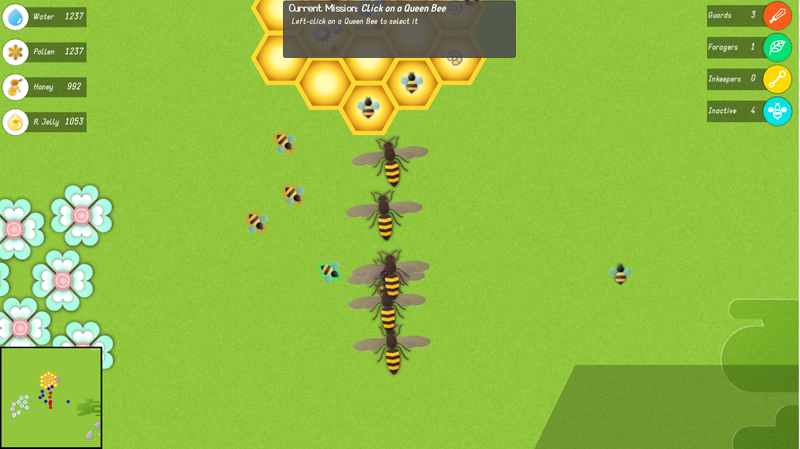 But be careful, your enemies will try to destroy your work by killing your bees and stealing your resources: fight them and be prepared to create a new hive somewhere else, keep your Queen alive, or you won't be able to create new bees and your colony will die. Some small enemies can be fought by attacking them, such as wasps and hornets, but bigger events as the arrival of a bear or a storm will have more serious consenquences, so be prepared. 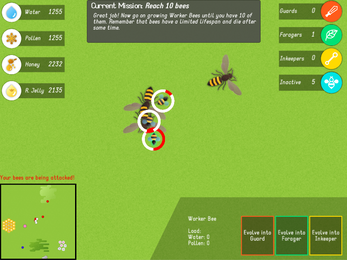 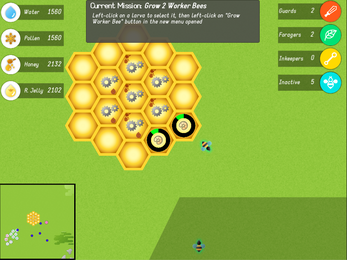 The setting is a natural background that the player can explore with a map and through his bees. 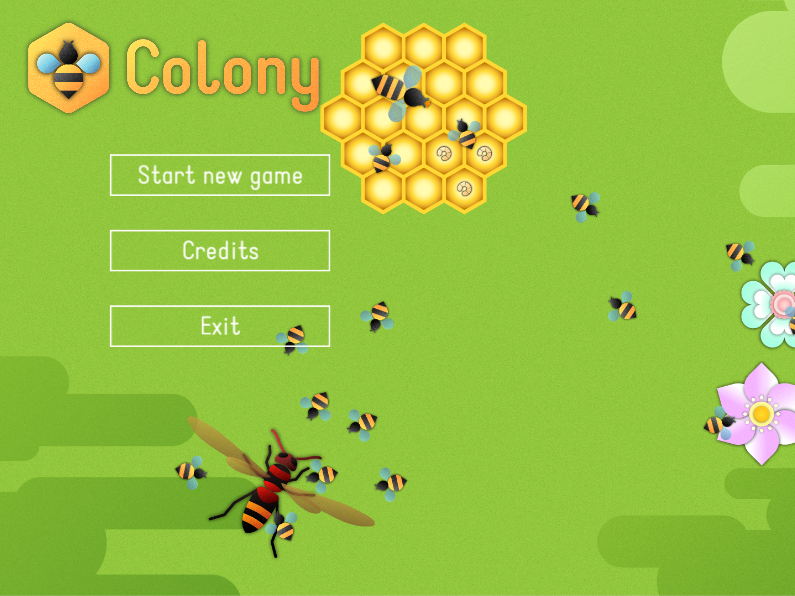 The main aim of the game is to make the colony more and more wealthy by organizing the bees and their roles, getting resources, protect the hive in case of threats and expanding the colony by building up new hives.